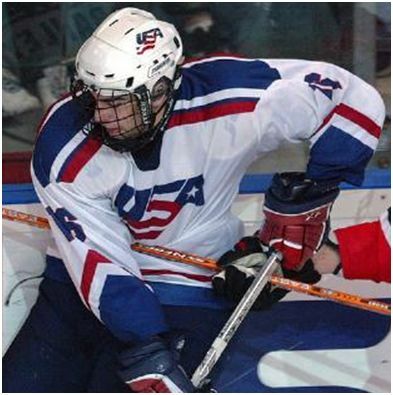 Jason Bailey was a 2005 draft pick by the Anaheim Ducks. He has yet to make it to the NHL. Maybe it’s because he’s Jewish. At least that’s what Bailey is claiming. As Newsday points out, “Surely matters can’t get any worse” for the New York Islanders. The NHL’s worst team was booed and taunted over the weekend while they were visiting sick children in the hospital. According toone Islander, a nurse told the team, “Nobody wants to go to your games.” This as the club was giving away free tickets. 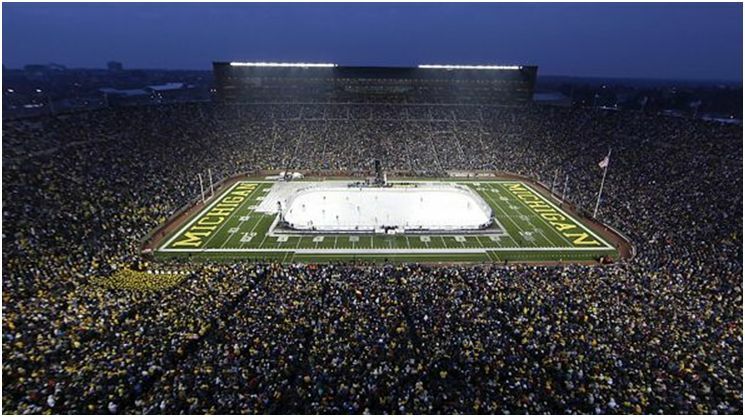 A record crowd of 113,411 turned out in Ann Arbor Saturday night for a college hockey game between Michigan and Michigan State. The game was played at the University of Michigan’s football stadium. Stanley Cup-winning former NHL coach Pat Burns died November 18th. Tuesday, during his funeral, somebody broke into his widow’s car and stole jewelry, Burns’ wallet and 30 jerseys that Burns had autographed for a charity auction. The Yahoo! Sports hockey blog detailed an interesting item this weekend about the NHL’s Pittsburgh Penguins charging $40 for vials of water. 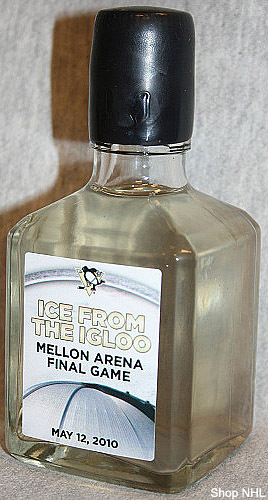 The water is from the ice of the final Penguins game ever played at the old Mellon Arena. Former NHL coach Pat Burns has been diagnosed with terminal lung cancer. However, he wants people to know that, contrary to various news reports, he’s not dead yet. Burns personally called Bob McKenzie of the Canadian tv network TSN to prove he’s alive. Chris Pronger of the Philadelphia Flyers refused to respond when directly asked about the Chicago Tribune’s Tuesday cover. The newspaper showed a photoshopped picture of Pronger wearing a skating dress.